1. Song, O, Sheppard, M, Cartwright, M, Mair, C, Software Defect Association Mining and Defect Correction Effort Prediction, IEEE Transactions on Software Engineering, 2006, 32(2), 69-82. 2. McGregor, J, Sykes, D, A Practical Guide to Testing Object-Oriented Software, Addison-Wesley Professional, 2001. 3. Catal, C, Sevim, U, Diri, B, Practical development of an Eclipse-based software fault prediction tool using Naive Bayes algorithm, Expert Systems with Application, 2011, 38(3), 2347-2353. 4. Catal, C, Sevim, U, Diri, B, Software Fault Prediction of Unlabeled Program Modules, Proceedings of the World Congress on Engineering, London, UK, 2009, vol.I. 5. Patton, R, Software Testing, 2nd edition, Sams Publishing, 2006. 6. Craig, R, D, Jaskiel, S, P, Systematic Software Testing, Artech House, 2002. 7. Catal, C, Diri, B, Investigating the effect of dataset size, metrics sets, and feature selection techniques on software fault prediction problem, Information Sciences, Elsevier, 2009, 179(8), 1040–1058. 8. Kaszycki, G, Using process metrics to enhance software fault prediction models, In Proceedings of Tenth International Symposium on Software Reliability Engineering, Boca Raton, Florida, Academic Press, 1999. 9. Xu, Z, Khoshgoftaar, T, M, Allen, E, B, Prediction of software faults using fuzzy nonlinear regression modeling, In Fifth IEEE International Symposium on High Assurance Systems Engineering (HASE 2000), Albuquerque, New Mexico, USA, 2000, 281-290. 10. Reformat, M, A fuzzy-based meta-model for reasoning about number of software defects, International Fuzzy Systems Association World Congress, IFSA 2003: Fuzzy Sets and Systems, Istanbul, Turkey, 2003, pp 644-651. 11. Menzies T, Di Stefano, J, How good is your blind spot sampling policy, Eighth IEEE International Symposium on High Assurance Systems Engineering, Tampa, Florida, USA, 2004, pp 129-138. 12. Cagatay, C, Diri, B, Software Fault Prediction with Object-Oriented Metrics Based Artificial Immune Recognition System, International Conference on Product Focused Software Process Improvement, Springer-Verlag, Berlin Heidelberg, 2007, pp 300–314. 13. D'Ambros, M, Lanza, M, and Robbes, R, An Extensive Comparison of Bug Prediction Approaches, 7th IEEE Working Conference on Mining Software Repositories (MSR 2010), Cape Town, South Africa, 2010. 14. 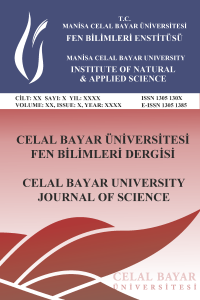 Mısırlı, A, T, Bener, A, B, Turhan, B, An industrial case study of classifier ensembles for locating software defects, Software Quality Journal, Springer Science, 2011, 19(3), 515-536. 15. Kaur, S, Kumar, D, Software Fault Prediction in Object Oriented Software Systems Using Density Based Clustering Approach, International Journal of Research in Engineering and Technology (IJRET), 2012, 1(2). 16. Ozcift, A, Gulten, A, Classifier Ensemble Construction with Rotation Forest to Improve Medical Diagnosis Performance of Machine Learning Algorithms, Computer Methods and Programs in Biomedicine, 2011, 104(3), 443-451. 17. McCabe, T, J, A Complexity Measure, IEEE Transactions on Software Engineering, 1976, 2(4), 308-320. 18. Shepperd, M, A Critique of Cyclomatic Complexity as a Software Metric, Software Engineering Journal, 1988, 3(2), 30-36. 19. Sharma, R, Singh, P, Sharma, S, Deviation Causing Factors in a Code based on Environment of Analysis, International Journal of Applied Information Systems (IJAIS), 2012, 12(9), 23-30. 20. Online: Dataset USP-1299 and Developed Software, https://github.com/KamilAkarsu/Voting, (accessed date 24.09.2018).